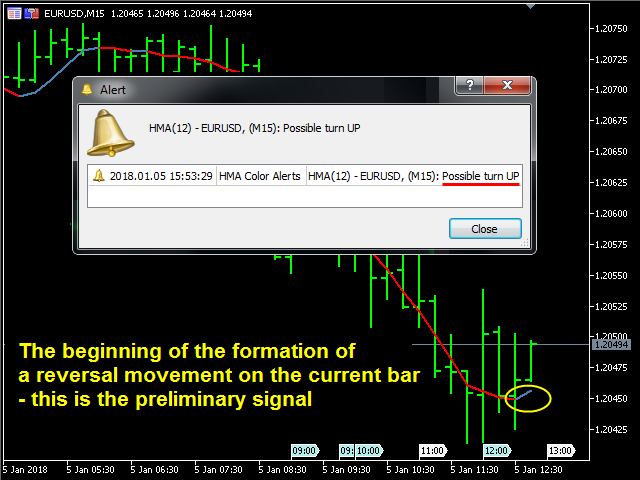 Hull Moving Average (HMA) is well-deservedly popular among traders because of the effective averaging of market noise and a relatively small delay. 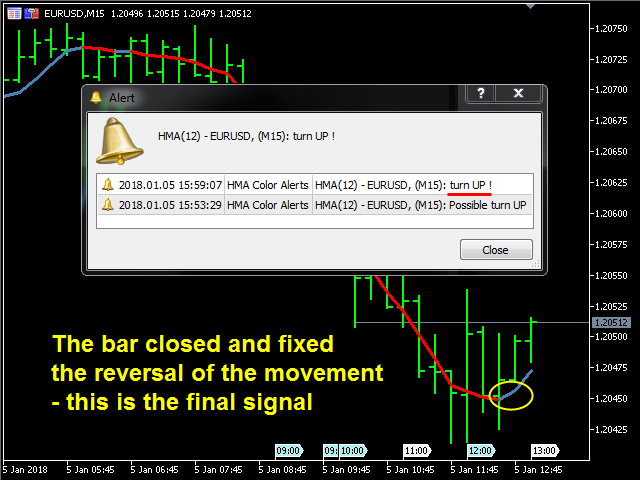 The current MetaTrader 5 version changes its color when the movement direction changes. 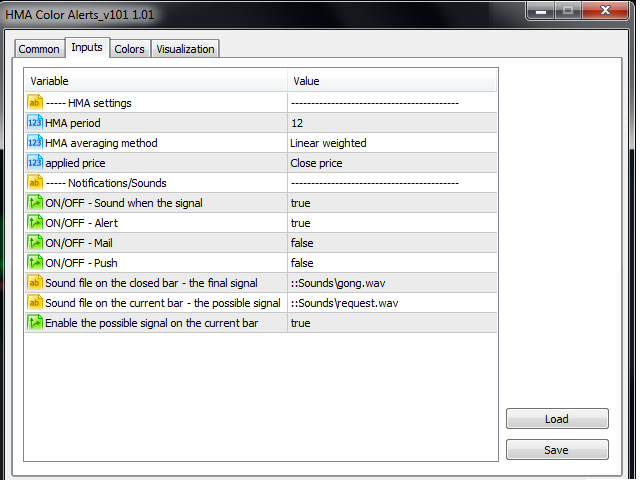 Sound and text signals are available. It also supports sending email and push messages. It is possible to trigger a signal on the current incomplete bar, although such a signal may be canceled before completion if conditions are no longer appropriate. 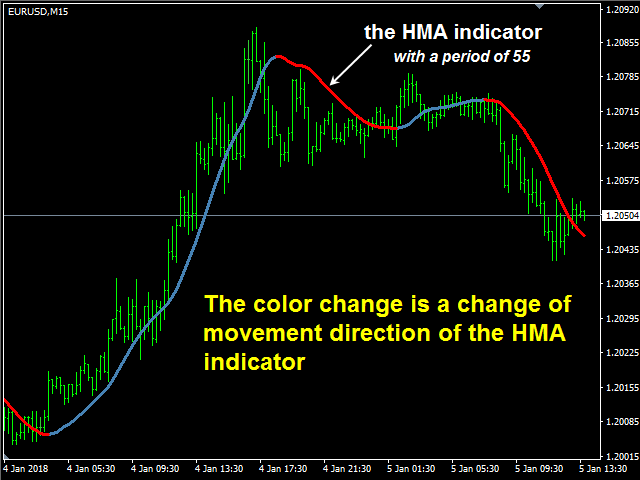 Use two instances of the indicator with different periods on the chart. The small period (approximately from 12 to 25) shows the current timeframe movement, while the large period (approximately from 60 to 120) highlights the trend. 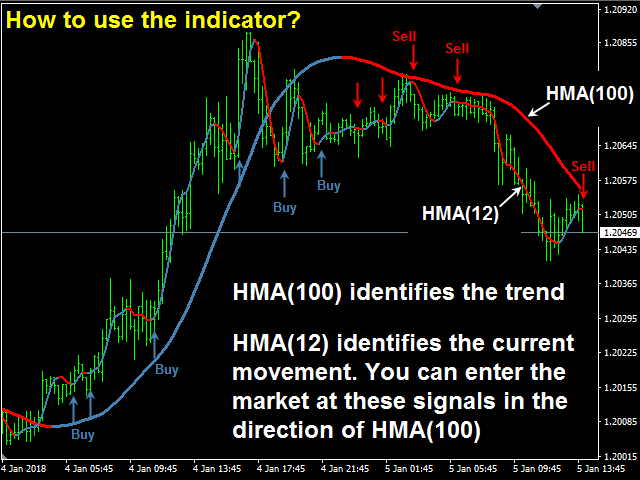 A trade is performed when the lower HMA changes its direction towards the higher (older) one.